This is my definitive Top Ten list for 2018. The books are in order, with #1 being my favorite book of 2018. Julien Sorel is a character you either love or hate. I found his turbulent desires very relatable. He has become one of my favorite protagonists in fiction. The colors mentioned in the title symbolize the identities that Julien find the most attractive: soldier (red) and priest (black). Unfortunately, Julien doesn’t have what it takes to be a “great” man, so he turns to love as a means to social mobility. Julien’s messy romance with Mme de Rênal and his quest for greatness double as a social satire on post-Restoration France. 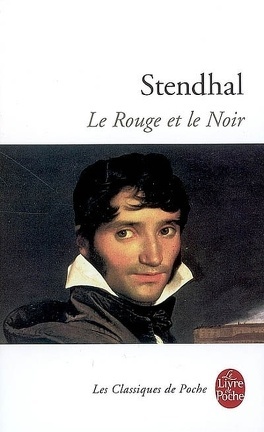 If you like Balzac’s Father Goriot, you should definitely give The Red and the Black a try. The #2 spot goes to the first book in a historical fiction trilogy (The Golden Wolf Saga). The second book (The Sea Queen) came out this past August, and the last book will probably be released next year. 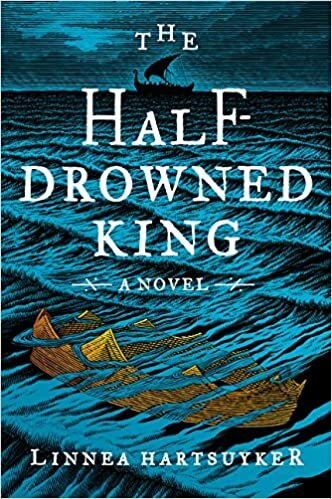 The Half-Drowned King is set in 9th-century Norway and follows a brother and a sister in search of justice and honor. Ragnvald Eysteinsson and his sister Svanhild are growing up with their stepfather Olaf, who has taken the throne of Ragnvald’s father. At the start of the novel, Ragnvald is attacked by a shipmate named Solvi, whose father Ragnvald suspects has formed an alliance with Olaf. Now, Ragnvald wants revenge and a chance to win the throne from Olaf. This series has everything: a rich world, beautiful writing, compelling women, morally-complex characters, and great action scenes. If you like A Game of Thrones, I expect you will love this series. 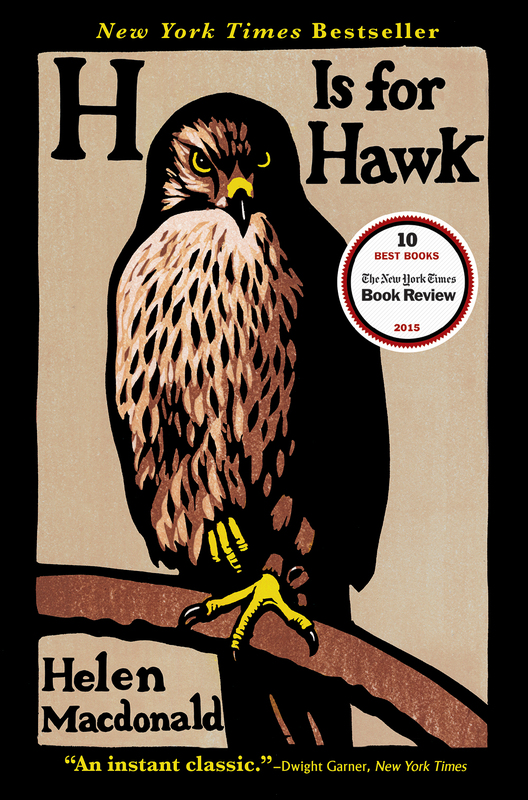 I have never been able to get past the first episode of A Game of Thrones (because I thought it was quite sexist), but I sped through the first two books of Hartsuyker’s trilogy. Leave it to a woman to write female characters well. Repair the Living is about a heart transplant. Simon Limbres, an avid surfer, dies in a car accident at the start of the novel. But his death is nothing like in the movies. His heart is still beating although his brain has stopped functioning. When Simon’s mother sees her son in the hospital, she thinks that he will soon revive from his coma. But he won’t. Simon is clinically dead. Modern medicine insists that the brain, not the heart, is the true locus of life. In France, unlike in the United States, a person is automatically considered an organ donor unless they officially opt out. Thus, Doctors Pierre Révol and Thomas Rémige have already identified Simon as an organ donor before they even meet with his surviving relatives. Repair the Living offers a kaleidoscopic perspective on life, death, grief, and, of course, the heart. I already knew I would like this book when I first heard about it on Booktube. Self-help is not usually a genre I reach for, but I am a huge believer in habit. I have broken some major habits in my life, but forming new habits has been much more challenging. I resist discipline because it takes too much effort. 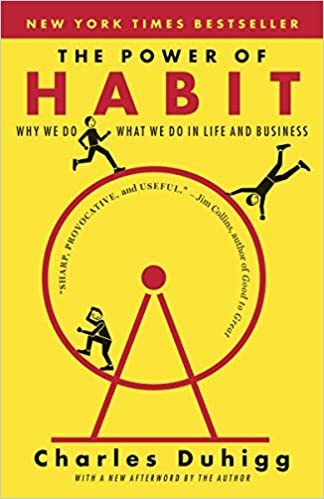 Duhigg demystifies habit through a number of case studies. It’s amazing how many things we do on a daily basis that are nothing more than ingrained habits. Understanding habit formation is particularly important today businesses (such as grocery stores) exploit research on human behavior to sell more product. They know, for example, that customers turn habitually to the right when they enter a store. Some organizations use this information more constructively. Starbucks trains its employees to adopt good habits so that they can be self-motivated and disciplined workers. And of course, there’s Alcoholics Anonymous; the 12-step program has helped thousands of people break habits of addiction. This is a fascinating book with implications for every aspect of business and life. This 1721 epistolary novel tells the story of two fictional travelers, Usbek and Rica, who leave Persia in search of enlightenment. Usbek is the older of the two, with five wives and a household of slaves. He is critical of the justice system in Persia, but he doesn’t necessarily find France to be any better. Usbek makes some incisive remarks about French society. 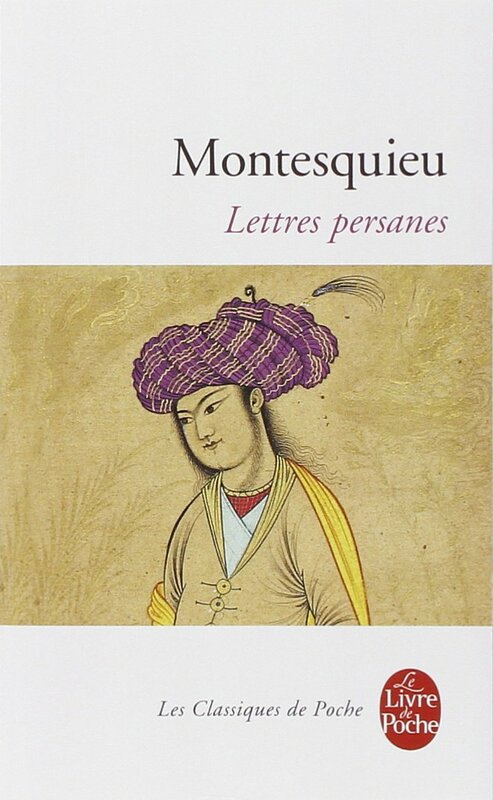 But unlike other travel narratives and social satires of the 18th century, The Persian Letters is filled with morally-complex characters. Usbek and Rica are not merely observers and commentators, but social actors as well. The hype is well-deserved. 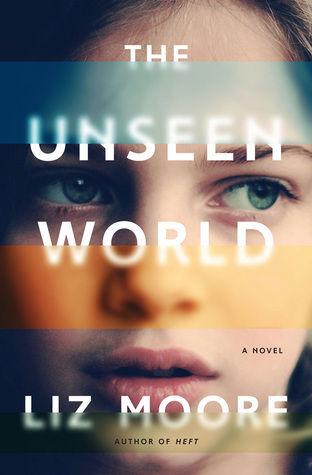 The Unseen World by Liz Moore manages to be both thought-provoking and exhilarating – a combination scarcely found in fiction. Ada is a child prodigy whose father, David, heads a computer science lab. He has always been somewhat of an outsider, but in recent months he has started to forget things. Once, he goes missing an entire day. David had been diagnosed years ago with early-onset Alzheimer’s, but he had never told his daughter. Now that David can no longer care for himself, he must be admitted to a nursing home. But who is David? Ada meets a man at the nursing home who claims that her father isn’t who he claims to be. Unfortunately, David’s memory has so deteriorated that she can’t simply ask him to learn the truth. Instead, she has to decode a message her father left her on a floppy disk. I read this 452-page book in two days! 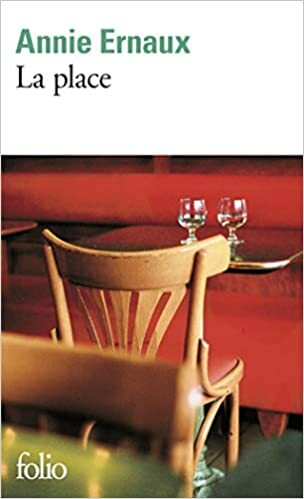 This autobiography is more like a series of reflections about Annie Ernaux’s upbringing in a working-class French family. The death of Ernaux’s father at the start of the work elicits a series of reflections about social class and writing. She insists on writing about her father in plain, straightforward language, rather than the flowery style we are so accustomed to encountering in memoirs. Unlike the author’s father, who quit school early in order to work for his father and later owned his own grocery, Annie went to college, obtained her CAPES de lettres (Le certificat d’aptitude au professorat de l’enseignement du second degré), and became a teacher and writer. La Place gives the reader an insight into why Ernaux prefers a “flat” writing style over the “literary”. Every year it seems, the Tolkien estate publishes another of the author’s unfinished writings. Some are interesting, while others are a waste of time. 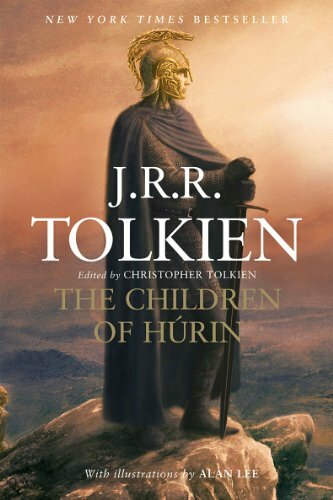 The Children of Húrin is one of Tolkien’s most complete posthumous writings, and definitely the most engaging. I want this book to become a movie or a mini-series so badly. The world-building and character development are impressive. It is also the most psychological and the most violent of Tolkien’s works. Early in the history of Middle-Earth, the evil Morgoth escapes establishes a fortress in the North and from there, encourages a war between elves. At the start of the novel, Túrin’s father Húrin is captured by Morgoth during the Battle of Unnumbered Tears. Consequently, Túrin is adopted by King Thingol of Doriath, an elf. But Túrin makes some unpleasant choices, which alienates him from the elves. The Children of Húrin is about the consequences of these choices on his family and friends. Thankfully, I don’t know anyone who supports the execution of religious dissidents, but well into the 18th century, people were tortured and killed for refusing to submit to the national religion. Voltaire’s Treatise on Tolerance is a plea for religious tolerance on the occasion of the death of Jean Calas, an Huguenot executed on spurious grounds. This essay is particularly relevant today, in an age of increasing intolerance. Voltaire was clearly up-to-date with the Biblical scholarship of his day. I am not entirely sure how I feel about Native Son. On the one hand, I flew through this work and was compelled by Bigger Thomas’s story. On the other hand, I felt like the novel was dismissive of the suffering of the female characters. But I have to include this work on the list because I was moved by the story and the author’s insights on race and class. Native Son is about the role systemic racism played in the lives of black men growing up in the Jim Crow era. But it’s message remains relevant today. Racism in the American criminal justice system is just as present today as it was before 1965. Except for the last 25 pages, this book was a page-turner. It honestly read like a thriller. The prose was also magnificent. 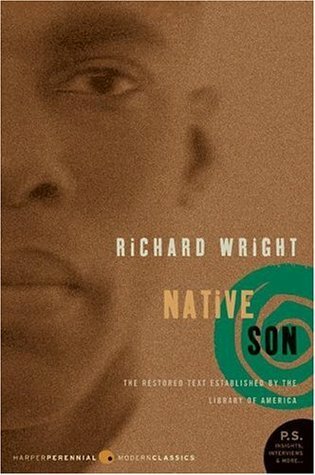 Consequently, I look forward to reading Richard Wright’s autobiography, Black Boy, in the near future. Unfortunately, I have not been able to keep up with daily blogging. I simply have too many things on my plate at the moment. Furthermore, it is difficult to write 500 words of new content every single day. Not every idea is appropriate for this blog or even this platform. I also don’t want to share every aspect of my life. I’d rather keep this blog about books and writing. This doesn’t mean, however, that I am taking a blogging break. On the contrary, I hope to post more frequently in November than I have in the past year. I have a list of topics sitting on my table. It’s also Nonfiction November here and on YouTube, so I will be sharing my nonfiction reads for the month. I must confess to having mediocre time-management and organizational skills. Although I give myself enough time to complete a project, I neglect a lot of other important areas in my life, such as exercise and breakfast. One of the steps I am taking to be more organized is to consider my daily, weekly, and monthly priorities and then to schedule accordingly. Because I overbooked myself this month, I’ve been running around like a chicken with its head cut off. Sometimes it is necessary to remove a few obligations to be more organized and efficient. This is why I will no longer be blogging everyday in November. I am at the age when self-help books and motivational videos are the most appealing. Although I am content with where I am now, I know that someday I will need a “real” job. I will need to have employable skills. Knowing the minute details of late medieval French history is not exactly employable outside of academia. And I am perfectly aware that I probably will not get a tenure track position once I finish my dissertation. Self-help is currently teaching me how to accept failure and to better resolve conflicts in my personal and work life. There is, however, a negative side to the self-help industry. First, the obvious. The time spent consuming motivational content could be better spent learning a new skill or developing a side-hustle. For self-help authors, “motivation” and “productivity” are products to sell. They make a living from presenting their ideal selves to the world. A full-time motivational YouTuber is literally doing her job when she shares her morning routine whereas your morning routine will not earn you a single penny. But the aspect of self-help that I find the least helpful is the obsession with “productivity”. When I think of productivity, I think of a factory churning out as much product as possible at the lowest price possible. I am turned off by its capitalist connotation. A productive writer, publishes a book a year regardless of quality because nothing matters more than the bottom line for the author and short-term gratification for the reader. I recoil at the term “productivity” because I don’t want to be a cog in a machine. Furthermore, focusing on productivity alone is…well…unproductive. Why should I be concerned about churning out a lot of product? What is in it for me? A person can only obsess over productivity for a limited amount of time before he experiences burnout and a lack of motivation. This is especially true for academics and those in the creative industry. There are so many financial and personal sacrifices that we make to remain in these sectors. If I wanted to make a lot money I wouldn’t be in a French PhD program. Instead of focusing on how to do more, maybe self-help gurus should focus on why someone might want to do more. What motivates an academic, an actor, or an artist to do all of the extra work necessary to get ahead? Academics know that it is important to publish a lot to be in the running for a tenure-track post, but telling graduate students that they need to be productive is not enough. We need to have passion for our subject material, otherwise we will throw in the towel. Graduate students and early career researchers with low productivity might be behind on their deadlines because they no longer care about what they do. I would like self-help and motivational speakers to teach others how to maintain passion for something after the buzz has died down. Passion matters the most because it drives everything else. When you are passionate about something – when you feel called to do something – you will necessarily be productive. If we are deeply convinced that we are in the right sector, productivity will follow. In times of crisis, what should we read? Should we read books that expose the dark side of humanity, or should we seek instead more uplifting books? Readers (and film-goers) today seem to fall into one or the other category. People are either going for Animal Farm, 1984, or It Can’t Happen Here, or they are indulging in more feel-good novels like Three Things About Elsie, A Man Called Ove, and Eleanor Oliphant is Completely Fine. I fall in the first category. I must admit that I am by default somewhat of a pessimist. I am not surprised by evil in the world because I believe that humans are tempted by selfishness. That being said, I have spent the past two years actively trying to be more optimistic. Consequently, I am much less cynical than I used to be. I’m certainly much friendlier. But I am increasingly drawn to dark fiction and histories that explore atrocities. My current project explores responses to the trial of Louis de Berquin, a 16th century Lutheran executed for heresy. I have scoured Inquisition registers and read treatises in defense of the enslavement of indigenous people (such as Sepúlveda’s), in hopes of “understanding” and recognizing today the arguments people have historically given for violence. There’s nothing new about the rhetoric white supremacists use to defend their xenophobic, misogynistic, and racist beliefs. I guess I feel a responsibility to put my linguistic and historical skills in the service of social reform. It is important to note that there have always been dissenters, like Bartolomé de las Casas or Erasmus, who challenged dominant perspectives on social issues. Still, studying the rhetoric of unpleasant treatises has made me more sensitive to the language politicians throw around in the public square. Perhaps it is because I am more informed that I am less cynical. When all arguments appear equally dazzling, you don’t know what is true and what is false. Furthermore, literature has taught me to trust my heart as well as my mind. Over and over again, medieval/Renaissance treatises in defense of violence privileged reason over feeling. Sepúlveda appealed to Aristotle in defense of the enslavement of the indigenous people of the “New World”. When we tell others to suppress their feelings, we are asking them to deny a part of their humanity. The deeper I dig into history, the more I realize how essential pity and mercy are to good, ethical decision-making. I am also reminded that reform is possible. Those treatises didn’t have the last word. Although I do not know what we should be reading in this period of crisis, I do know from personal experience that reading unpleasant works has made me less, not more, cynical. They have inspired me to take action in order to nip hatred in the bud. Consider that the far-right is populated with some of the most cynical people you’ll ever encounter. Their prejudices and conspiracy theories come from a place of fear. And predictably, they have a poor knowledge of history. I am doing a PhD largely because I love research. It all started in middle school. I suddenly fell in love with Roald Dahl’s writings in seventh grade. By my last year of middle school I had read not only every children’s book he wrote but I had also sought out every autobiography he wrote and every anecdote written about him. I even knew that his favorite color was yellow. Unfortunately, this passion for researching Roald Dahl and his works (including some of his adult short stories) led me to some unpleasant discoveries. I learned that my childhood idol was antisemitic and a champion of British imperialism. Thus, I discovered from a fairly young age that research can be a lot like eating the forbidden food. My eyes were opened to the complexities of history and the human person. During my freshman year of college, my new obsession was Franciscan history. It all started with reading the vitae (lives) of Saint Francis of Assisi and a few well-known modern biographies about him. Soon, I discovered the important role friars played in the shaping of Western Europe during the Middle Ages. I was at one shocked and fascinated by the scandals in the Franciscan order. I began paying attention to the rhetoric of the stories, aware of the historical contexts in which they were written. At around the same time, I discovered Paul Sabatier. Sabatier spearheaded the movement of studying the “historical” Francis – that is, the vitae stripped of their alleged mythos. Sabatier, a Protestant historian, attempted to reconstruct the life of the saint through the consultation of various documents in the Vatican archives. His Life of Saint Francis of Assisi contextualized the Order of the Friars Minor in the radical Christian movements of the 13th century. Thus, Francis was not alone in his decision to abandon material comfort and live in community. The Waldensians were doing it well before Francis started preaching. The Humiliati and the Albigensians also adopted radical poverty. The merchant Peter Waldo abandoned all of his wealth in the late 12th century to start an evangelical ministry. Unfortunately, his request to preach was denied by the Pope for unknown reasons. When he and his followers persisted, they found themselves excommunicated from the medieval church. The 13th-century reform coincided with the beginning of a long period of violent conflict between the papacy and religious nonconformists, such as the Waldensians, Albigensians, and Spiritual Franciscans known as the Fraticelli. In 1211, two years after Francis got official approval to preach in poverty and established the Order of the Friars Minor, 80 Waldensians were burned at the stake in Strasbourg for heresy. The Order of Preachers (a.k.a. the Dominican Order) was founded in 1216 to combat heresy – initially with words alone, but later with force, through the Dominican-run Roman Inquisition. Needless to say, Paul Sabatier’s association of Saint Francis with 13th-century heretics earned him a papal condemnation. His book was placed on the Index of Prohibited Books in 1894. But his condemned book only grew in popularity. Although some of his assertions (especially his more provocative ones) have now been discredited by historians, Sabatier inspired a movement of scholars interested in historicizing the lives of saints. I, too, was inspired by Sabatier to study saints’ lives. If the field of hagriography was concerned in the 20th century with demythologization, scholars today are less interested in knowing the “true” Saint Francis than in considering the literary and historical contexts that gave rise to his cult. I prefer the latter approach because it is more culturally-sensitive. Sabatier assumed that saint veneration was superstitious and thus allowed his personal religious views to influence how he read the life of Francis, but the modern historian is trained to refrain from making judgments about a particular religious or cultural practice. From obsessing about Roald Dahl to studying the vitae of Saint Francis of Assisi, literary research has taught me to appreciate the many valences of a historical event or person. And most importantly, it has taught me much about humanity.